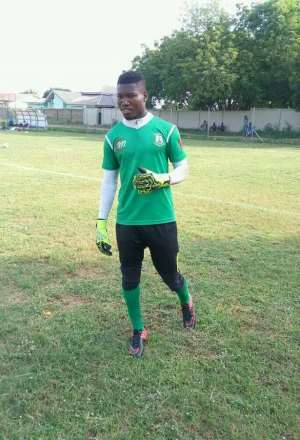 Vision FC shoot stopper Dzado Melike in an exclusive interview with Gbc Volta Stars Radio Sports says he is committed and determined to help his club gain promotion into the Ghana premier league this season. Melike joined Vision FC from former Division One campaigners Roberto FC in the 2016/2017 season after they got relegated from the Division One. The 22-year-old worked his way to become the team’s first choice goalkeeper making 21 appearances from a possible of 30 games in the Division One league season. Melike, a household name in the Volta regional capital, Ho rouse from the Asogli Colts Club and later made his Division One campaign for Mighty Jets FC before moving to Hotsteel FC and Roberto FC.